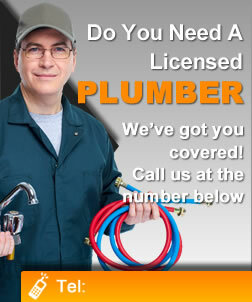 Why You Need The Best Plumber To Assist You? When you have some complicated projects at home that is involving plumbing, then plumbers should always enter the picture. It is not advisable that you will try to solve the plumbing needs all on your own, as it is for certain, that you will only be saddened with the results. These plumbing technicians will play a crucial role to safeguard you from any hazards that may arise as a result of plumbing. You will see that the best plumber that you will be happily working with, is one that is able to blend technology with that of experience, and that they are those that will give you the best quote, such that it is complete with site pictures and proposals. Which is why, it is always a must that you ask for quote of the possible services that you will possibly get from a reliable plumber. Should Plumber Quotes Be Free? Just like a consultation fee with your surgeon to plan and discuss your procedure before you go “under the knife”. I’ve paid for that experience. It was money well spent. If your plumber charges for a quote, you’re more likely to get a professional and well considered opinion for your problem and he should offer a number of alternatives to suit your home and your budget. Quite often your plumber will deduct the quote fee from the price of the job, so effectively you end up with a free quote. Plumbers are real people too.We get quotes for projects on our own homes and gardens, cars and boats, pets and holidays and occasionally the quote is more than we expected. I’ll usually ask questions and discuss the task with the professional providing the service. With a better understanding of “what” and “why” the quote is so, I can ask for recommendations and if necessary, scale back the project without compromising my home. In fact, you can also expect that your plumber is going to help you out with your cold and hot water system, as they are experienced and skilled in dealing with such a complicated system. They will assure you that everything will go on as planned, because they are equipped with the best tools at hand. Pressure reducing valves are designed to provide accurate pressure control on the inlet side of the hot water system. Fluctuating water pressures will put unnecessary pressure on the internal wall of your tank. The primary function of the temperature pressure relief valve (TPR) is to release any build up of excess tank pressure. If your TPR valve is continually running, it nay be an indication that it is time to have it replaced. It may also be an indication that the pressure reducing valve, if fitted may not be operating correctly and may need replacing. Located internally in your mains pressure hot water system is the sacrificial anode. All these undertakings can be made possible because a high class plumber is able to extend assistance to you. In spite of the troubles that may be present in your plumbing system at home, you can expect that these professionals will face whatever problems head on, to give you a satisfactory result. Reasons Why Your Shower Leaks?